On behalf of the Texas Association of Chicanos in Higher Education, it is our pleasure to invite you to exhibit at the 44th annual TACHE conference to be held February 17 – February 20, 2019, in the beautiful "Live Music Capital of the World" Austin, Texas. Conference host hotel is the Wyndham Garden Inn - Austin. The conference is attended by professionals from colleges and universities nationally and across Texas, such as college students, community leaders, faculty, administrators, and college and university presidents. Register online by scrolling below to Exhibitor Registration Form fill in necessary exhibitor/vendor information. Pay Exhibitor/Vendor fees online by clicking on Exhibitor Fees Payment below. Sunday, February 17: 12:00 p.m. to 5:00 p.m.
Sunday, February 17: 1:00 p.m. to 5:00 p.m.
Monday, February 18: 8:00 a.m. to 5:00 p.m.
Tuesday, February 19: 8:00 a.m. to 5:00 p.m.
*If you need electrical power, an added cost of $50 per exhibit table will be added. Exhibitors are invited to register for the conference. 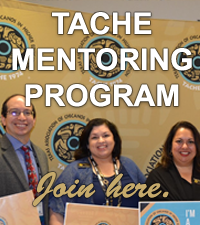 Mention TACHE at the Wyndham Garden Inn - Austin for the conference hotel discounted rate. Go to www.tache.org/conference for additional information and deadlines. The exhibitor agrees to protect and hold TACHE harmless for any damages or charges imposed for violation of any law or ordinance, as well as to comply strictly with all the sponsoring conference hotel conditions and requirements. The exhibitor shall at all times protect and hold harmless TACHE from all loss, cost, or liability arising from or by reason of the exhibitor’s occupancy at the Wyndham Garden Inn Austin during any period from February 17 - February 20, 2018. TACHE will not be responsible for the safety of the property of the exhibitors from theft, damage by fire, accident, or other causes.